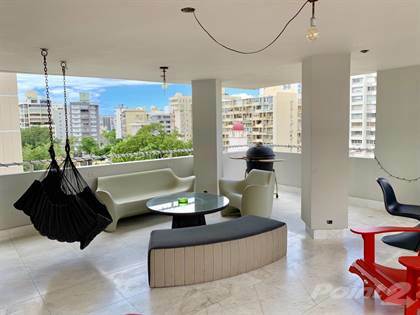 The Grand Royal is an exclusive, 14 story high-rise building with a great location at Luchetti Street in Condado. This particular completely renovated unit, offers 3600 sq ft in an open floor plan with an extra-large balcony/terrace overlooking the city. Has 3 bedrooms, 3.5 bathrooms plus maid's room with it's own full bathroom. Three assigned parking spaces plus a separate storage room. The unit was completely renovated with exquisite taste in 2012. Modern European kitchen with quartz countertops and high-end S/S appliances. Beautiful and bright marble floors all over its open floor plan. Full power back up generator, cistern and 24 hr security. Very exclusive and private building, only one unit per floor! Plaza Stella Cond. # 1362 Magdalena Ave.
Hi, I'd like to find out more information about 1354 Luchetti Street, The Grand Royal. Thanks so much!